There is renewed optimism for the future of ash trees in the UK, following new research which has identified genetic markers for susceptibility to Ash Dieback caused by Hymenoscyphus fraxineus. For the first ever time in trees, a technique called, “Associative Transcriptomics”, has identified three genetic sequences linked to susceptibility. By identifying potentially resistant trees in the field, we may begin tree breeding programmes using the resistant trees. 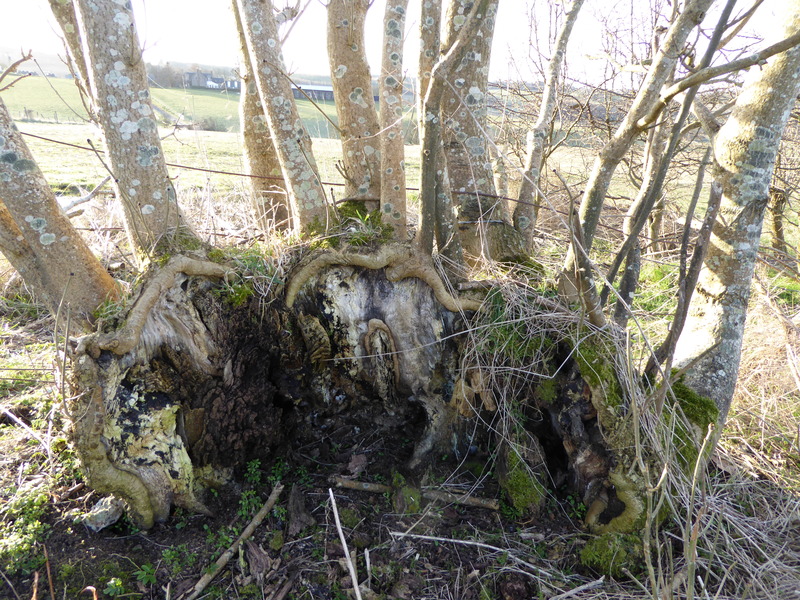 Resistant trees could then be planted out in areas affected by Ash Dieback, to replace dead and dying trees. “Association genetics” can quickly and efficiently identify regions of the genome that control traits and provide markers to accelerate breeding by marker-assisted selection. However, as most crops are polyploid (genes in sets of two or more) it is hard to identify the required markers and put together a genome sequence to order those markers. In contrast, “Associative Transcriptomics” – a recently developed technique – uses transcriptome sequencing to identify and score molecular markers representing both gene sequences and gene expression. It then correlates this with trait variation. And here is an interactive link to the Forestry Commission map showing where Ash Dieback has been found since first discovered in the UK in 2012 (26% of 10km squares have infected ash). 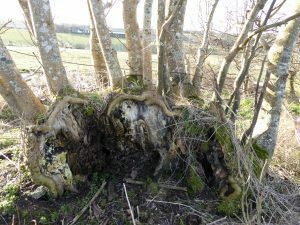 The above picture shows the resilient nature of ash – vigorous regrowth from the stump of a tree which fell in high winds.